Posted on Monday, December 28th, 2015 at 7:47 pm. Christmas week has seen another week of calm and clear conditions with no extra snowfall to top up the pistes that have survived surprisingly well with the recent mild conditions – the Espace Killy looks to be fairing much better than many of the lower elevation European resorts. Boisses, you’re still able to escape the holiday season crowds and find some quiet(er) pistes! The weather for the start of the week through to midweek looks to continue with the clear and calm theme. However, from the 31st December there looks to (finally!) be a change in the weather pattern which is going to bring some fairly significant snowfall for the rest of the week which should top up both the on and off-piste conditions very nicely. Please be aware that all the fresh snow that is forecast to fall in the middle of the week is not going to be falling onto a stable layer beneath it – it will not bond buy propecia us well with the current snowpack and will therefore create a potentially dangerous slab that is waiting for a skier or snowboarder to wander onto it and force it down the slope. The current avalanche danger for the beginning of the week remains at category 1, but expect this to rise significantly with the new snowfall. The current biggest hazard within the snowpack is the abundance of rocks lurking at the surface of just below the surface of the snowpack, keep an eye out for these rocks when heading off-piste. Again, my top tip for this week will be to hire a local guide in order to get the best out of your time in the Espace Killy as a guide will be able to show you all the best spots to find powder within resort and beyond the resort barriers – there is still powder out there! After the midweek snowfall, a guide will be able to keep you safe with the predicted increase in avalanche danger and find the safest places to ride in accordance to this danger. With the calm and clear conditions still prevailing until midweek, it’s still a great time to book onto a Heli Scenic Tour with Val Heliski and get some stunning views of Mont Blanc, departing from both Tignes and Val d’Isere altiports! Posted on Monday, December 14th, 2015 at 9:32 am. After another week of calm, settled conditions and amazing sunshine all day has continued to consolidate the snowpack further. The pistes around the Espace Killy are still in great condition thanks to the snowmaking facilities, however the off-piste conditions have been hit hard by the recent mild conditions with many hazards continuing to poke through the snowpack with the increasingly warm conditions affecting the snowpack. I have been sticking to many of the north – east facing slopes which are still holding fantastic snow, whilst the southerly facing slopes are being hit hard by high south westerly winds and the recent mild conditions. Chardonnet bowl, Mickey’s Ears and the east facing slopes from the Col de Fresse have given some fantastic off piste riding on un-tracked fresh snow. Today (Sunday 13th December) saw many new lifts opening in the Espace Killy with the Aguille Pércée section of the hill now being open which opens up the pistes Cyclamen and Corniche, not only this but the whole freeride south face of Aguille Pércée is open to those who are willing to hike for their turns – be aware though, as this is a south facing slope much of the snowpack has now thawed away leaving many rocky sections, think about heading down this face when we get another large snowfall to avoid hitting a rock on the way down. Skiers are also now able to ski down to La Boisses (great lunch spot) to then get the Boisses lift back up and around to Le Lac, opening up the whole Sache side of the resort – if you’re looking for quiet pistes then head this way, or if you’re an avid off-piste skier, the Vallon De La Sache will give a very rewarding journey all the way down to Le Brevieres. The opening of these lifts also saves you a bus journey all the way back up the valley to Le Lac from both La Boisses (via Boisses gondola) and from Le Brevieres (via order propecia usa Sache gondola). The start of this week’s weather looks to continue with the settled theme through to Monday and Tuesday, with Tuesday night bringing a little snow over night. The settled theme then looks to continue through the rest of the week with clear and calm conditions expected which will give some fantastic visibility and firm piste riding – keep doing those snow dances! Avalanche conditions remain at category 1 at both 1500m and 3000m elevations but please keep in mind that at higher elevations (above 2000m), windslab could still be present, particularly within the north – north easterly aspects. As the snowpack continues to consolidate, be aware that rocks will continue to be an ever present danger to off-piste skiers. Snow depths are currently 30m at 1500m and 50m at 3000m. Heliski operations are starting on the 20th December. With the current off-piste conditions the way they are right now, it’s becoming increasingly more evident that the best way to find fresh snow is to either hire a guide and ski-tour to some of the fresh snow or save all the effort and book onto a heliski trip – we’re always able to find some fantastic conditions in any one of our 32 drop zones! Top tip: Head for some of the more sheltered north facing couloirs that have managed to stay out of the sun and have not been stripped by the high winds that we’ve recently had. These couloirs are still holding some cold & dry fresh in them – however you will have to hike slightly to find them as all the couloirs in a close proximity to the lift system are heavily tracked out. If you’re of a suitable ability level, consider hiring a pair of touring skis or a Splitboard and a guide to venture out of the resort slightly to find some of the untracked fresh – it’s still out there, you just have to work for it! Posted on Wednesday, December 9th, 2015 at 6:23 pm. We’ve had another period of calm and settled conditions over the past week with a little snow (5cm) on Friday night which topped things up nicely. I’ve been out doing much less ski-touring over the week and much more lift served side country skiing as the off piste conditions from the lifts have been so great. If you’re interested in the conditions of the famous Mickey’s Ears couloirs then read on as I’ve had two great runs down them in the past week and conditions on the North / North East facing slopes are still fantastic even after the recent mild temperatures. On Friday 4th December (the day after my last report was written) I headed up Mickey’s Ears to see how early season conditions were faring after the recent mild temperatures. These are reached by skiing North from the summit of Toviere lift stations (down ‘Cretes’ piste) to then reach a very obvious ridge in front of you when the piste forces you to make a left or right turn. The initial walk up the ridge to reach the first couloir is extremely easy with mild temperatures beginning to strip the snow off the S/SW side of Mickey’s ears. After you pass the first couloir, conditions can potentially become quite icy especially so early in the morning when the sun hasn’t had a chance to soften the snow of the S/SW face. I would recommend for snowboarders in soft boots and skiers with plastic alpine soles to purchase a pair of Cat Tracks to improve safety and security when traversing the ridge to reach the skiers left couloirs (beyond the large pinnacle where the radio antennas used to sit). Otherwise, there is currently large steps kicked out in the snow making a fairly straight forward traverse of the face. Once the large pinnacle has been traversed, you can take a left or right boot-pack to reach the same couloir (both offer similar entrances to each other) with the left hand entrance being the more popular choice between riders and so this option is slightly more tracked out that the right hand entrance. Both left and right entrances have an extremely easy slide in with a short steep section to negotiate which then leads to the excellent, wide and open bowl allowing you to open out your turns and let your skis/board rip back down to the bowl of the face – there’s some great wall to wall snow coverage in the wide couloir. Once you’re lower down and out of the couloir, be aware of rocks (as usual this early in the season) that are beginning to poke through the snowpack. Getting back to the lifts is straightforward, I’ve been heading skiers right out of the bowl following the now tracked out traverse to join the pistes that head down to La Daille – just make sure you keep an eye out for a bridge that crosses a gorge on your right to cross over to access the piste. Alternatively, you can ignore the bridge and piste and keep the gorge on your right hand side to follow The Hidden Valley down through the trees order ativan online which will then lead to the Daille bubble lift, this descent is now seeing an extremely low snowpack though so be aware for any dangers lurking under the snow if your choose this route. Saturday 5th and Monday 7th December, saw me mainly skiing the pistes which have great coverage thanks to the snow cannons and even better grooming with more and more pistes and lifts opening each week. There’s also some great off-piste accessed minutes away from the pistes if you’re not looking to hike as far as the Mickey’s Ears descents and with such quiet slopes, many of these runs are not getting tracked out at all, all you have to do is hike 1-3 minutes off the piste to reach them. A particular favourite of mine is the face on your right as you are heading up Borsat chair, ski down to the Col de Fresse and hike the ridge for 1 – 5 minutes to drop into any of the lines on your right hand side which all have great coverage on their North to Easterly aspect. Tuesday 8th December saw me heading back up to Mickey’s Ears with some friends who hadn’t skied any of the couloirs this season. Conditions on the ridge were similar to the 4th December with a little more of the scree showing through the snowpack. We were keen to head down the first couloir that you reach after following the ridge, with a wide open entrance that quickly narrows and steepens into a nice wee chute. 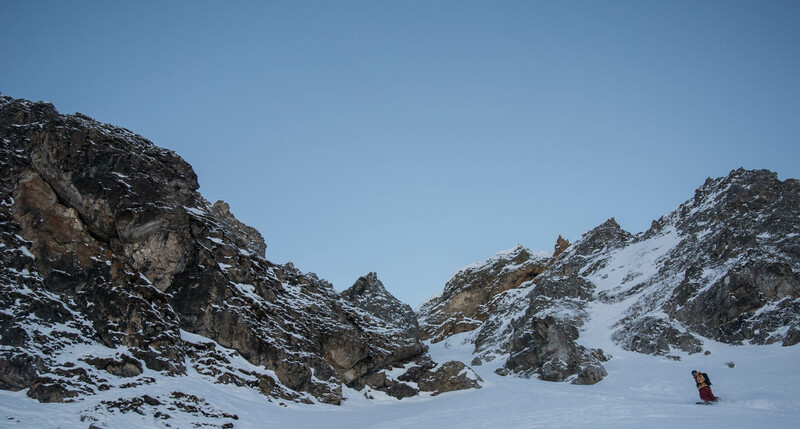 Please be aware that before you head down a couloir this early in the season that you have had a look up it or climbed up it prior to dropping in – we foolishly hadn’t done this prior to dropping in. Thus, after I dropped into the couloir I soon realised that it wasn’t actually complete as I got around halfway down towards the steep and narrow chute – please make sure you know what you are skiing this early in the season as not all the lines are complete and require another big dump to bring them fully into condition. 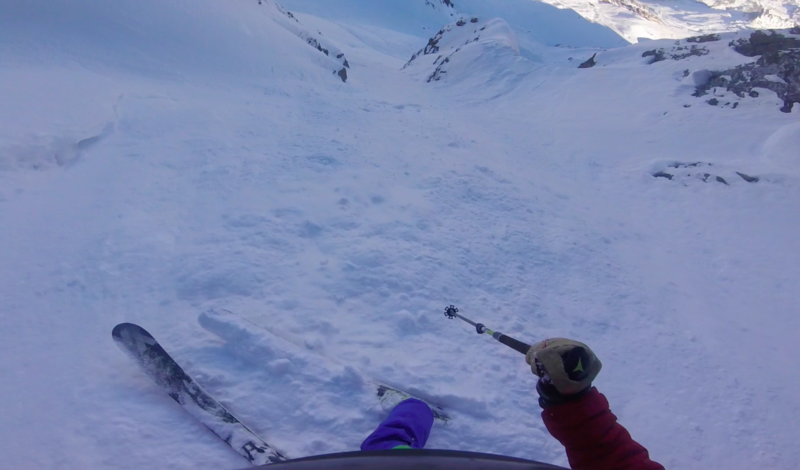 After I hiked back out of the couloir, we headed for the safe option of the couloir I skied on the 4th December to give a much more straightforward ski compared to the one I’d just attempted. There looks to be another week of fine a dry conditions with a smattering of snow here and there, it’s currently very overcast in resort with a centimetre or two forecast to fall toady (Wednesday 9th December). Following this, the sun is set to return for the end of the week to give some more settled days. All this settled weather has continued to consolidate the snowpack, even on higher elevations – the current avalanche warning is Category 1 (low) both down in Le Lac and Le Grand Motte, but as ever please be aware that there are still localised patches of windslab particularly on N / NE facing slopes and with the shallow snowpack, hazards such as rocks are starting to poke through. Posted on Thursday, December 3rd, 2015 at 2:33 pm. Since the week’s worth of snowfall on the 20th November, we have been given some epic on and off piste skiing conditions. The Val Heliski crew have been out ski touring in the L’Aguille Du Pércée, Aguille Du Chardonnet and Toviere regions of the hill before the resort opened which had given some fantastic conditions for those that were willing to work for their turns, before the lifts began running on the 28th November. On the 30th November I headed up to L’Aguille Du Pércée and skied the south / south-westerly face from the summit of L’Aguille. Due to the aspect of this face, there are some rocks starting to poke back through the snowpack at the top section of the face where the snow is melted from the recent mild weather. 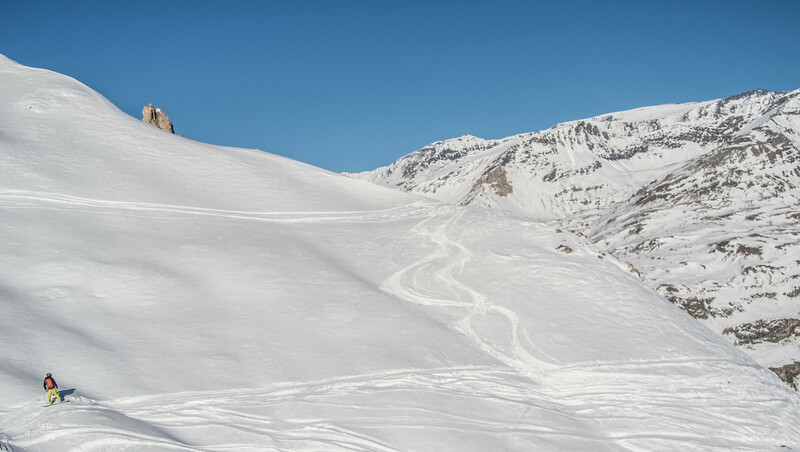 However, once in the bowl itself and down from the top 50 metres, the snow is still in brilliant condition, giving us some excellent turns so early in the season – this was a great introduction into the Tignes off-piste for the season! There is still an easy traverse back to either the Aguille Rouge or Marias chairlifts from the summit of L’Aguille, just cut back skiers left once you reach the bottom of the bowl and a little rock hopping will lead you to the pistes back to the chair. Since the lifts have started running, I’ve been lapping some of the classic Tignes / Val d’Isere off piste runs including the Chardonnet Couloir and Little Chardonnet Couloir (on the 2nd December) which gave some absolutely fantastic cold powder on the northernly aspect which has been kept out of the sun for most of the day. 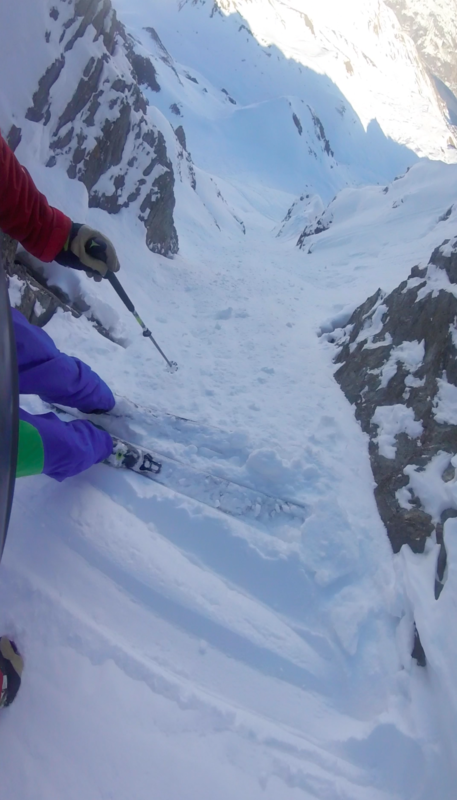 The Chardonnet Couloir currently has an extremely easy entrance which allows for a simple slide in with some amazing fresh all the way down the couloir, although this might change over the next few days. As we came round to do our second lap in the Chardonnet bowl the snow was becoming where to buy cheap propecia slightly tracked out and heavy as the sun came round onto the face and more people were lapping it. I also got a sneaky lap down towards La Daille in Val d’Isere by skiing from the Toviere bubble down ‘Familiale’ which has excellent snow coverage and then down ‘The Hidden Valley’ which has seen a lot of snow melt due to the recent mild conditions with rocks, branches and tree roots becoming a common sight from around 2000m. It is still offering a fantastic ski all the way back down to the La Daille bubble lift with a little hop over a stream at the bottom – early season conditions are looking great! Heliski operations at Val Heliski are beginning from the 6th December due to the great early conditions we are experiencing. If you’re interested in Heliskiing departing the Espace Killy region then send us a message from the above website to secure your seat. After a massive dump of snow on the 20th November, the snowpack has slowly begun to settle and consolidate after a period of settled weather following the dump. However, recent high winds have led to a build up of windslab, particularly on north to east aspects, where you will notice much firmer feeling snow and will look like much more of a ‘flat’ white. After a period of warmer temperatures and no significant recent snowfall, there are some hazards within the snowpack – watch out for rocks that are still not fully covered. The avalanche danger was reduced from category 3 to category 2 on 1st December but you still need to be aware of the possible dangers lurking in the snowpack. We are going to see more settlement and consolidation of the snowpack (due to fine and dry conditions in the forecast) particularly on lower elevations, but it’s also worth remembering that we may see some persistently weak layers lingering due to the lower temperatures higher up. Posted on Monday, November 9th, 2015 at 3:47 pm. When you’re taking part in any of our backcountry experiences, it’s mandatory that you have adequate winter sports insurance that covers Heliskiing and Off-piste skiing with a mountain guide. 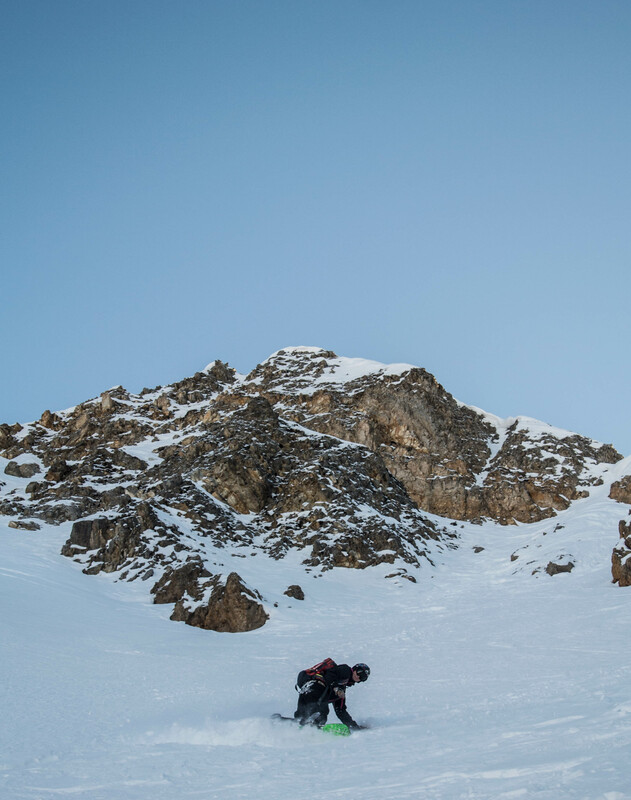 Being the backcountry specialists, we have heaps of experience in choosing the correct insurance for both our clients and our own backcountry ski or snowboard experiences. http://www.skiclubinsurance.co.uk – The Ski Club of Great Britain offer fantastic insurance at competitive rates, it’s important to purchase ‘Activity Pack 1’ to cover you for all of our activities. http://www.assurance-multi-sports.com – Impact Multi Sports is a French based company that offer extremely competitive rates, make sure that you go for the cover that includes Italy. Posted on Thursday, October 16th, 2014 at 10:01 am. Designed for skiers / snowboarders comfortable on red run gradient off-piste (minimum) your five day classic heliskiing experience begins with a heliski preparation day followed by 8 heli-drops over the next 4 days. Skiing / snowboarding a total of between 10,000 and 18,000 vertical metres; you’ll cover a massive expanse of terrain and will give yourself the best chance to experience a variety of snow conditions. What if there’s bad weather? No problem. Val Heliski are unique in the fact we have 3 different heliski areas; each with multiple drop zones (See them here). Our vast array of options means we’re totally flexible in the event of poor weather in one area as we can simply go to another. In the unlikely event that there’s poor weather in all of the heliskiing areas; we’ve got you covered – We provide a large diversity of backcountry products, other than heliskiing, including: Reverse Heliskiing in France, Non-heli backcountry experiences and guided off-piste around the 7 ski resorts on our doorstep – not to mention the mass of restaurants, nightlife, ápres ski and daytime activities available to us. Therefore we will always be able to find the best snow conditions and never leave you short of activities, even in bad weather. 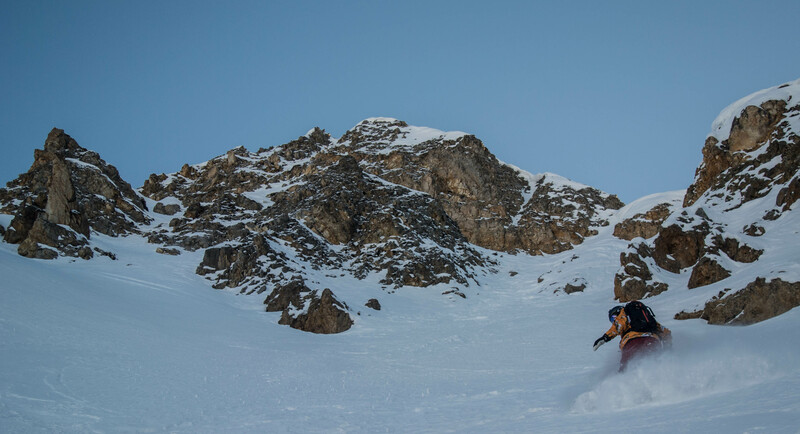 We start off with a heliski preparation day – a private session catering for skiers and snowboarders of all ability levels – on and off-piste with an instructor. From guiding to technique to avalanche training. A great way to explore the hidden gems of your home resort with the security and confidence that a professional brings. This enables our team to assess your ability level and give feed back in preparation for making the most of the terrain from step one during your heli package. After your prep day you’ll spend five of the best weather days of your ski holiday heliskiing with Val Heliski. 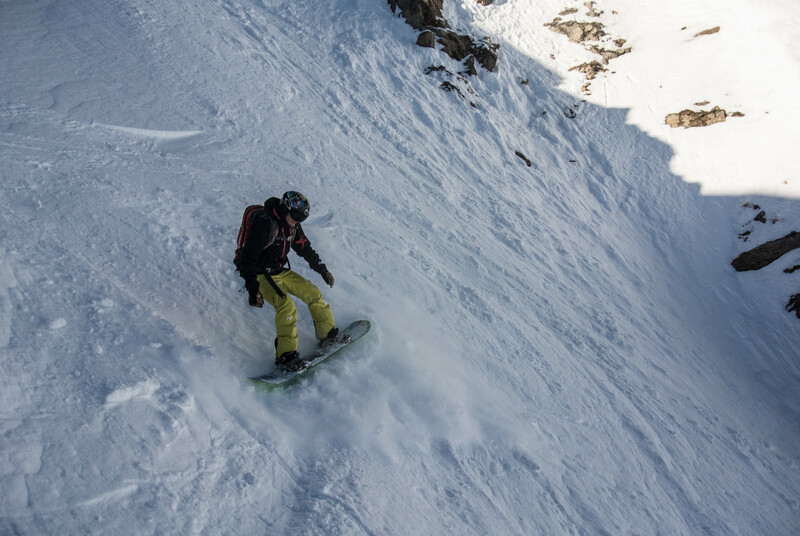 The 8 descents will allow us to travel deep into the Italian backcountry to get away from ski lifts, noise, people and get a true out-of-resort feeling. Each heli-drop descent takes between one-to-two hours of ski / snowboard time (around 1500-2000 vertical meters of descent). A local Italian UIAGM mountain guide will accompany you throughout the descents as well as train you to use the safety equipment we provide. Four days of minibus transfers from resort to the Italian heliski base are included in the price. Extra descents are available at €249 per person per descent and if the group cannot complete all the descent due to adverse weather conditions we will refund at a rate of €249 per person, per descent missed. Heliski descents could be in either: Courmayeur, Valgrisenche or the Col Du Petit St Bernard – depending on time of year; snow conditions and groups preferences. We can help find you accommodation, on your request to fully integrate your experience with us. You have our guide to yourself and can choose from our wide range of off-piste activities; either Reverse Heliskiing, Multiple Resort Reverse Heliskiing, The Tarentaise Tour with heli pick-up or a Heli Preparation Day in your local resort with a VHS guide or instructor for warm up, off piste pointers, equipment training and a great day exploring the off piste. We suggest this day should be used for more heli-drops (at a rate of €249 per person per drop). The beauty of our location and huge choice of off-piste activities means we can suit all weather and group preferences. Your UIAGM mountain guide will accompany you on these further 4 days and 8 heli drops, where we will endeavour to show you our three different heliski areas as each has their own special terrain and makes for a totally unique day. A heliskiing day typically begins around 7-7:45am with a (return) minibus transfer going to La Rosiere, followed by a warm-up ski over to the Italian heliski base. From there we access the Italian drop-zones. Most of our fit customers do around 3 drops per day – our record is 6 in one day – additional buy propecia online price drops can be purchased to extend your time on the snow. return minibus transfers from your resort are included for these days or you could upgrade to helicopter-transfers on request. Heli transfers significantly reduce travel time, maximising your time on snow and making additional drops an extremely viable option. You’ll also save valuable energy – again beneficial if you’re anticipating doing extra drops. This Heliskiing package begins from your home resort, where the VHS minibus will meet you. Package available from the resorts of: Val d’Isere, Tignes, Meribel, Courchevel, Paradiski, Ste Foy, La Rosiere or La Thuile. 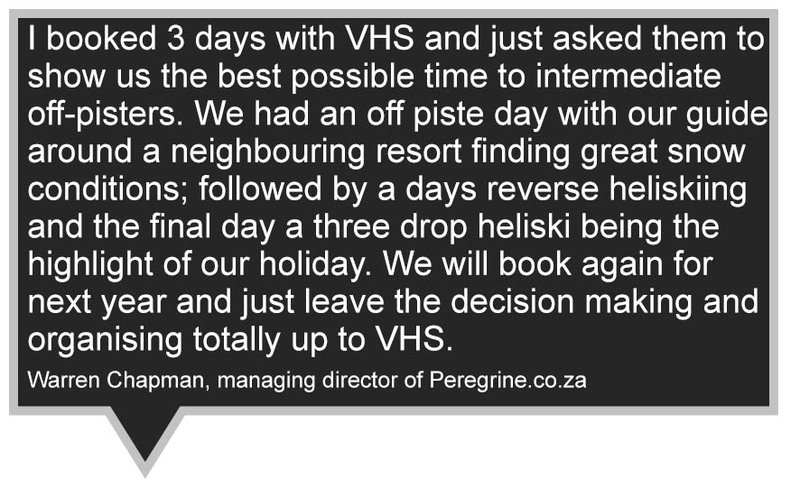 5 days use of the VHS minibuses when required. If you upgrade to helicopter transfers; they’ll depart from either Meribel altiport, Courchevel 1850 altiport, Tignes Val Claret altiport or La Daille altiport in Val d’Isere and take you to one of our Italian heliski bases. Posted on Thursday, October 16th, 2014 at 9:40 am. For skiers / snowboarders comfortable on red run gradient off piste (minimum). Spend three of the best weather days of your ski holiday trying a complete range of our best products tailored to suit a variety of snow conditions and weather patterns both in Italy and France. The package includes a UIAGM mountain guide or instructor (for the non heliskiing parts) for 3 days, PLUS the choice of either (a) a full day reverse Heliski departing the Espace Killy, (b) a one or two resort full day reverse Heliski or (c) a full day Tarentaise Tour with heli pick up PLUS a days heliskiing including 2 Heliski drops (each drop lasts between 1 to 2 hours of ski or board time / between 1200 and 2500 vertical meters per descent) PLUS all your minibus requirements during the 3 days. Extra drops can be bought on the day depending on group preferences and snow conditions at a rate of €249 per person per drop. A local Italian UIAGM mountain guide will accompany you throughout the descents as well as train you to use the safety equipment we provide. Return minibus transfers from your chalet to an Italian heliski base are included in the price. However you can upgrade to heli-transfers on request and extra descents are available at €249 per person per descent. If the group cannot complete all the descents due to adverse weather conditions we will refund at a rate of €249 per person, per descent missed. Heliski descents could be in either: Courmayeur, Valgrisenche or the Col du Petit St Bernard – depending on time of year; snow conditions and groups preferences. We can also help find you accommodation, on your request, to fully integrate your experience with us. You have our guide to yourself and can choose from our wide range of off-piste activities; either a day off piste guiding around your local resort or a Heli Preparation Day in your local resort with a VHS guide or instructor for warm up, off piste pointers, equipment training and a great day exploring the off piste. You could also make this an extra Heliski day using our day rate package prices. The beauty of our location and huge choice of off-piste activities means we can suit all weather and group preferences. Your package includes 2 Heliski drops and we will endeavour to show you the best snow conditions and most suitable terrain for the group out of our three different heliski areas available to us as each has their own special terrain and makes for a totally unique day. A heliskiing day typically begins around 7-7:45am with a (return) minibus transfer going to La Rosiere, followed by a warm-up ski over to the Italian heliski base. From there we access the Italian drop-zones. Most of our fit customers do around 3 drops per day – our record is 6 in one day – additional drops can be purchased to extend your time on the snow. You can also upgrade to heli-transfers to the Italian heliski base; significantly reducing travel time, maximising your time on snow and making additional drops an extremely viable option. You’ll also save valuable energy – again beneficial if you’re anticipating doing extra drops, or if you feel as though your ability level may be slightly lacking. This Heliskiing package begins from your home buy cheap propecia no prescription resort, where the VHS minibus will meet you at your chalet. If you upgrade to helicopter transfers; they’ll depart from either Meribel altiport, Courchevel 1850 altiport, Tignes Val Claret altiport or La Daille altiport in Val d’Isere and take you to / from one of our Italian heliski bases. Posted on Thursday, October 16th, 2014 at 9:36 am. 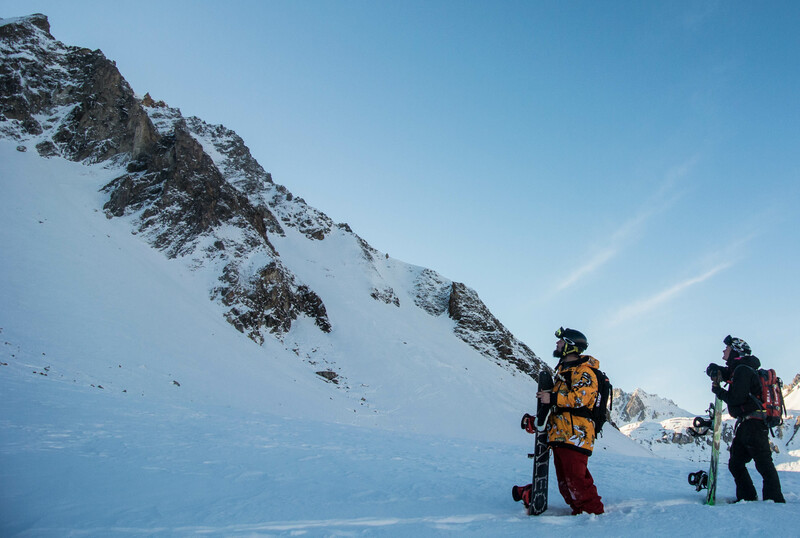 An all-inclusive experience designed for confident off-piste skiers / snowboarders looking for a challenge. 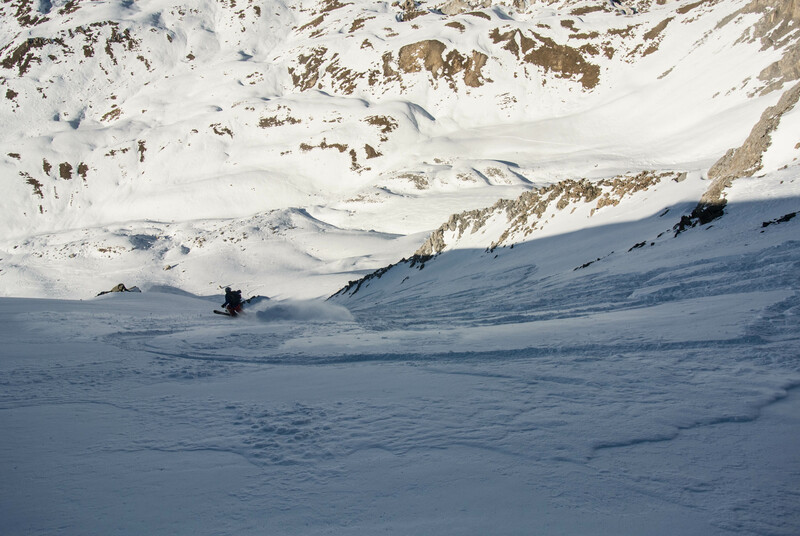 Fast paced, advanced terrain often including trees; traverses and couloirs. Helicopter transfers are included to / from Meribel altiport, Courchevel 1850 altiport, Tignes Val Claret altiport or La Daille altiport in Val d’Isere and the chosen Italian heliski base. One benefit of helicopter transfers is the significant reduction in the travel time to the heliskiing locations, maximising your time on snow and making additional drops an extremely viable option (our record is 6 drops in one day!). You’ll also save valuable energy (as with minibus transfers we usher you on a warm-up ski from La Rosiere to the heliskiing location) – again beneficial if you’re anticipating doing extra drops. 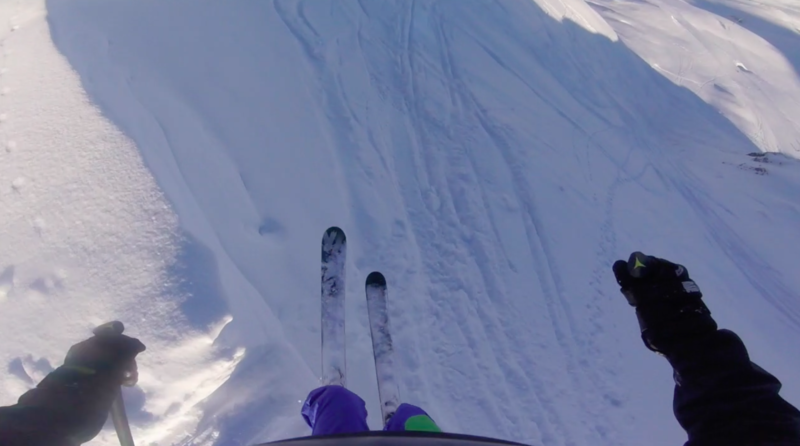 Soak in the sights as you fly over snow-dusted peaks to access the start of your heliski day. 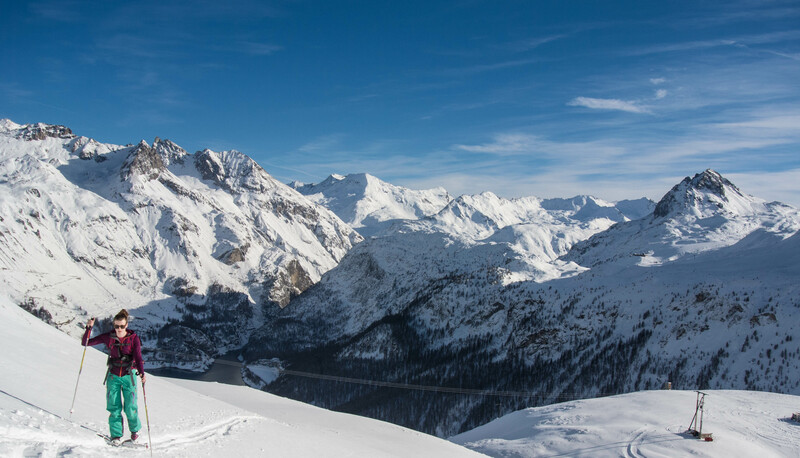 The three descents that follow take between one-to-two hours of ski / snowboard time each (around 2000 vertical meters of descent) and will take you deep into the Italian backcountry, covering a variety of terrain and snow conditions. A full day with your UIAGM mountain guide and training on the safety equipment we provide are included. Heliski descents could be in either Courmayeur, Valgrisenche or the Col du Petit St Bernard depending on time of year; snow conditions and groups preferences. Extra drops can be purchased in advance or on the day. Also included is everything you need for a backcountry heliski adventure; ABS packs, use of Salomon / Liberty powder skis, edited GoPro footage of your day, and a Savoyard style Val Heliski packed lunch. 9:00 AM: Meet your UIAGM mountain guide at either Meribel altiport, Courchevel 1850 altiport, Tignes Val Claret altiport or La Daille altiport in Val d’Isere where you will be given your safety equipment and briefed before stepping into the helicopter. Then you’ll fly straight to one of our Italian heliski bases where you will begin the heliskiing day. 2:00 – 3:00 PM: You’ll finish your three descents around 2 – 3pm. At this point you can: (a) purchase more drops to extend your heliskiing day. (b) request to go for lunch or eat your Val Heliski packed lunch on the slopes. (c) enjoy an afternoon of off-piste with your mountain guide; if you are in a suitable location with access to ski-lifts. 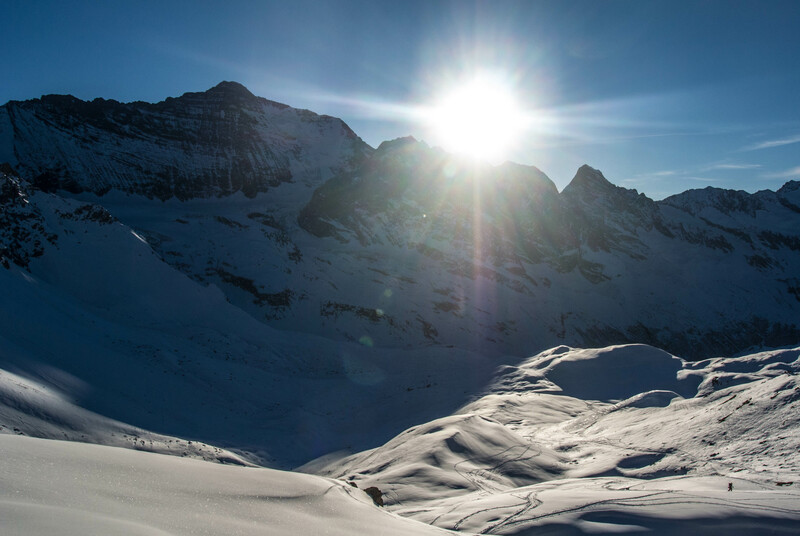 Some of our routes are so far into the backcountry we cannot access lifts – although if you request this option we can organise to get you to a suitable location. Some locations provide lift passes in the package price. Although if you require a lift pass for the afternoon of off-piste we can purchase one for you on your request. 4:00 PM: After your afternoons activity you will take the helicopter back to Meribel altiport, Courchevel 1850 altiport, Tignes Val Claret altiport or La Daille altiport in Val d’Isere from an Italian heliski base. This Heliskiing buy provigil package begins from either Meribel altiport, Courchevel 1850 altiport, Tignes Val Claret altiport or La Daille altiport in Val d’Isere, where the helicopter will meet you. Helicopter transfers to / from the above altiports to the Italian heliski base are included in this package. Posted on Thursday, October 16th, 2014 at 9:29 am. This is a tailor-made package, please contact us for a quote on Helicopter Transfer costs from your resort. An all-inclusive experience designed for skiers / snowboarders comfortable on red run gradient off-piste (minimum) wanting to experience a true backcountry heliskiing / heliboarding adventure, in the huge expanse of terrain available to us. Helicopter transfers are included to / from Meribel altiport, Courchevel 1850 altiport, Tignes Val Claret altiport or La Daille altiport in Val d’Isere and the chosen Italian propecia heliski base. One benefit of helicopter transfers is the significant reduction in the travel time to the heliskiing locations. You’ll also save valuable energy (as with minibus transfers we usher you on a warm-up ski from La Rosiere to the heliskiing location) – so if someone’s ability level is slightly lacking or you’re anticipating doing extra drops then heli transfers are the way to go. 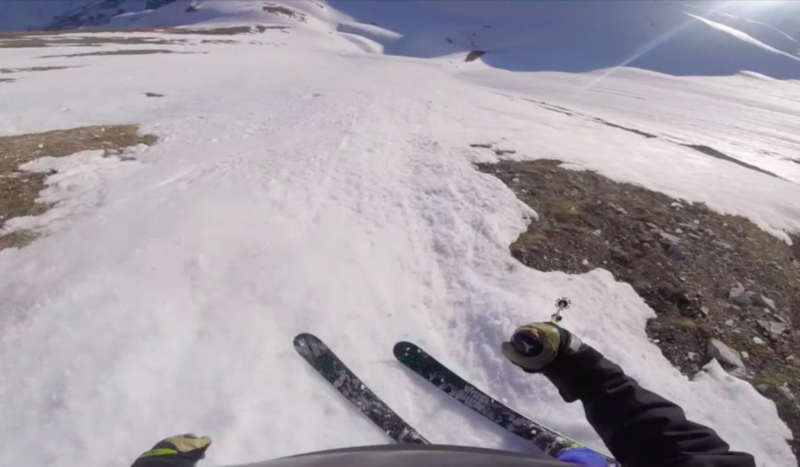 Soak in the sights as you fly over snow-dusted peaks to access the start of your heliski day. 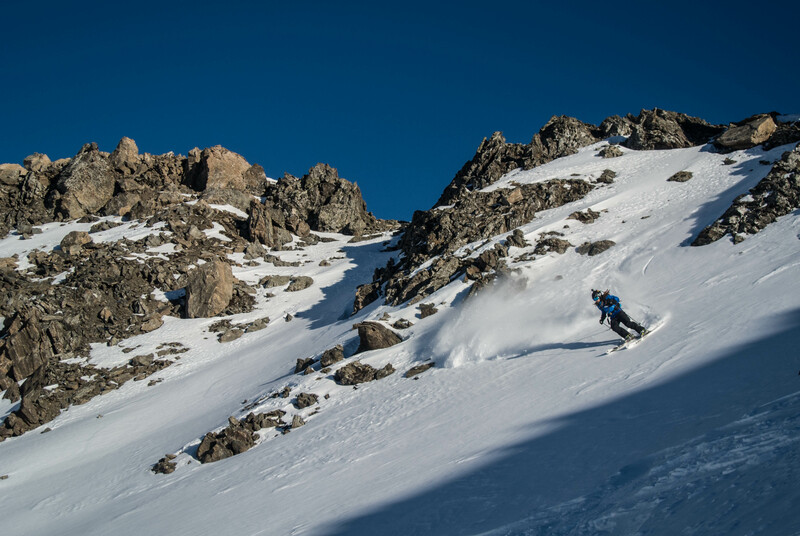 The descents that follow will take between one-to-two hours of ski / snowboard time each (around 2000 vertical meters of descent) and will allow you to experience a variety of terrain and snow conditions. A full-day with your private UIAGM mountain guide and training on the safety equipment we provide are included. Heliski descents could be in either: Courmayeur, Valgrisenche or the Col du Petit St Bernard – depending on time of year; snow conditions and groups’ preferences. 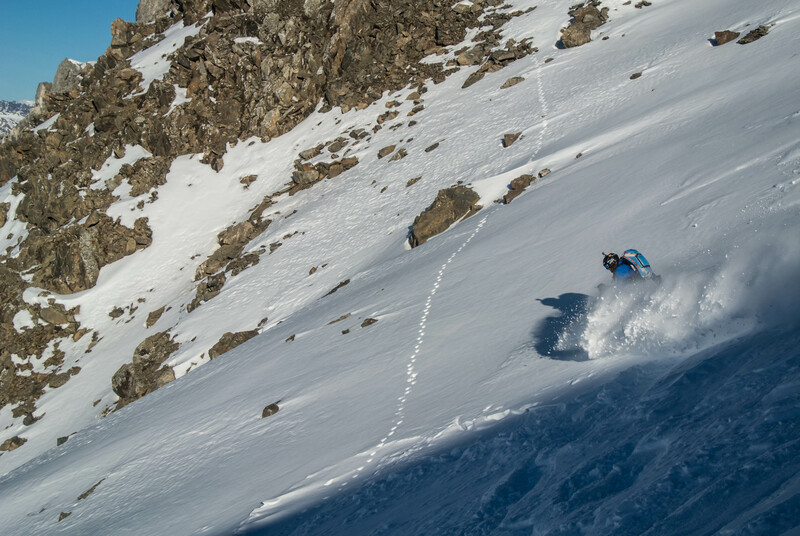 This package is based on a two drop heli ski/board day with unlimited drops available. 9:30 AM: Meet your UIAGM mountain guide at either Meribel altiport, Courchevel 1850 altiport, Tignes Val Claret altiport or La Daille altiport in Val d’Isere where you will be given your safety equipment and briefed before stepping into the helicopter. Then you’ll fly straight to one of our Italian heliski bases where you will begin the heliskiing day. 1:00 PM: You’ll finish your two descents around 1pm. At this point you can: (a) purchase more drops to extend your heliskiing day. (b) request to go for lunch or eat your Val Heliski packed lunch on the slopes. (c) enjoy an afternoon of off-piste with your mountain guide; if you are in a suitable location with access to ski-lifts. 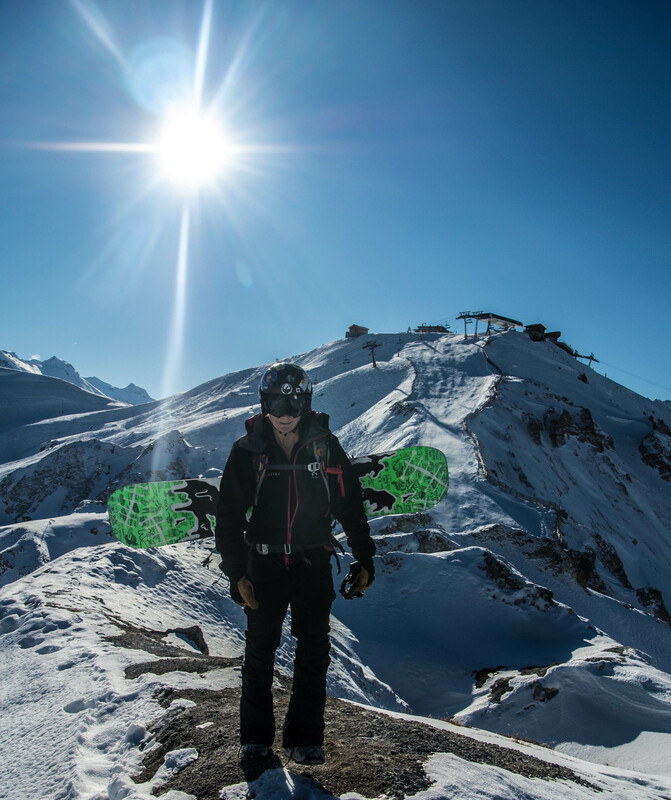 Some of our routes are so far into the backcountry we cannot access lifts – although if you request this option we can organise to get you to a suitable location. Some locations provide lift passes in the package price. If you require a lift pass for the afternoon of off-piste we can purchase one for you on your request. 2:00 – 4:30 PM: After your afternoons activity you will take the helicopter back to Meribel altiport, Courchevel 1850 altiport, Tignes Val Claret altiport or La Daille altiport in Val d’Isere from an Italian heliski base. This Heliskiing package begins from either Meribel altiport, Courchevel 1850 altiport, Tignes Val Claret altiport or La Daille altiport in Val d’Isere, where the helicopter will meet you. Posted on Wednesday, September 24th, 2014 at 11:06 am. DESCRIPTION: Your journey to and from the airport needn’t be a hassle. 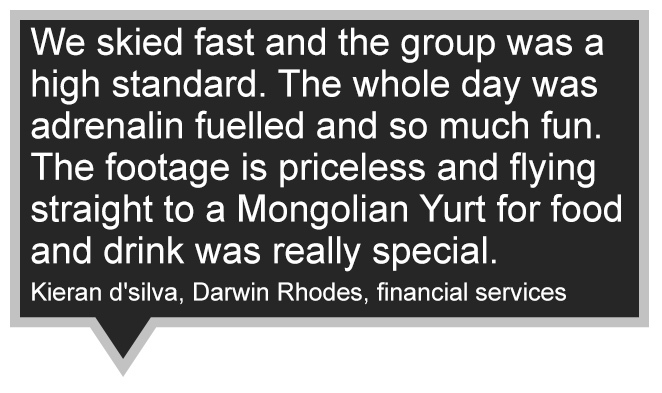 That’s why we provide a VHS minibus transfer option. Our minibus can comfortably seat from 1 to 8 people, with room for luggage, skis and snowboards. If you’re keen to save time on your heliskiing / boarding holiday; why not get a minibus transfer to the start of your package, straight from the airport? We will take you to the start of the package and ensure your luggage is taken to your chalet to await you at the end of the day. We operate in any of the above mentioned resorts and airports. – In accordance with the Consumer order propecia Protection (Distance Selling) Regulations 2000 and unless we have already provided the services we have contracted with you to provide or your booking is made in resort, you have the right to cancel your booking at any time up to the end of the 7th working day after the booking is accepted by us. You may do this by writing to us at the above address and you will receive a full refund of any monies paid. If you want to cancel your booking otherwise than as set out above please inform us as soon as possible. You will forfeit your deposit but please note that places on a trip can be transferred to someone else subject to any such replacement agreeing to these Conditions.